With the start of the summer driving season soon upon us, the National Highway Traffic Safety Administration (NHTSA) is once again kicking off its annual Click It or Ticket campaign to coincide with the Memorial Day holiday period, May 23 through June 5. Begun in 1993, this campaign is now a national mobilization effort to encourage the use of seat belts as a way of reducing highway fatalities. What surprises me is the continued need for such a campaign. Seat belts have been around since the 1950s, yet nearly one in six Americans still fail to regularly use one when motoring. In fact, with a use rate of approximately 85%, the U.S. trails other industrialized countries, such as Australia and Canada where rates stand at well over 90%. From my work at the NTSB, I know motor vehicle crashes are responsible for more deaths annually in the U.S., than in all other transportation modes combined. Yet, one of the greatest defenses to this risk, and also the simplest thing to do, is put on a seat belt when you climb into a vehicle. Since 1975, NHTSA estimates that over 267,000 lives have been saved due to seat belt use. As an airplane pilot, I would never consider flying without wearing my seat belt. The forces experienced during turbulence, in hard landings, or during a survivable crash are simply too significant for the body to manage without a restraint. As an engineer, I know the laws of physics don’t change when I get into a car, truck or SUV, so I never drive my car without wearing a seat belt either. Bottom line: Seat belts have a proven track record, so be safe and buckle up! 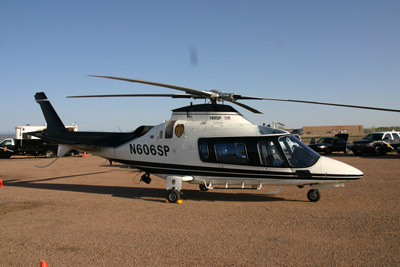 This week the Board met to consider the June 9, 2009, crash involving a New Mexico State Police (NMSP) helicopter conducting a search and rescue mission outside Santa Fe. The pilot and the lost hiker who was rescued both died and the spotter was injured in the accident. The investigation determined the pilot made inappropriate decisions in an increasingly risky situation. Just as importantly, the investigation uncovered an organizational culture that failed to prioritize safety over accomplishing the mission and permitted unnecessary risk. That accident was two years ago. Since then the NMSP and its personnel have persevered through a difficult and trying time, responding positively to the lessons learned from this tragedy, and making many changes to improve their procedures and culture. And the list goes on. I commend the leadership and staff of the NMSP for their responsiveness and commitment to embrace these necessary changes. I hope that the lessons learned from this accident are recognized by others that conduct similar operations. At the NTSB, we recognize the important work of search and rescue teams across the nation — our goal is to make sure that everyone gets back safely, especially the men and women charged with conducting these important missions. Travel safely this holiday weekend. The AAA projects 24 million Americans will be traveling 50 or more miles from home during the upcoming Memorial Day holiday weekend. 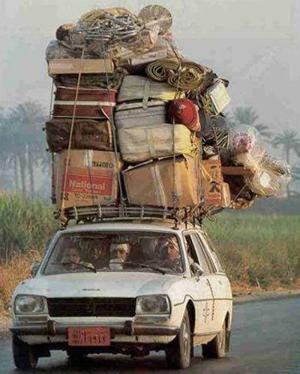 The overwhelming majority will be traveling by automobile. Here’s what some young people are doing to help ensure drivers arrive at their destinations safely. But, first, some background: When the NTSB hosted “Take our Daughters and Sons to Work Day” two years ago, then-member Kitty Higgins and I joined four young people for lunch. We learned that all four were Scouts — one was an Eagle Scout and the other three — all girls — were Boy Scouts. That surprised us! The girls explained that they were Venturers from a Germantown-Clarksburg, Md., Venturing Crew. (Venturing is a Boy Scouts of America co-ed program for youth aged 13 to 20.) As we talked about scouting and service projects, I challenged the group to take on projects that could help improve transportation safety. 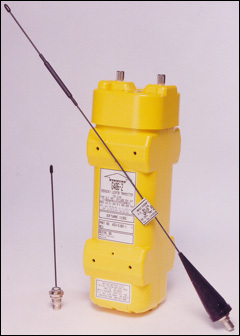 An Emergency Locator Transmitter (ELT) can make the difference between life and death. When I tell people about my work, I’m frequently asked about airline safety. Many recall major NTSB investigations, such as the TWA Flight 800 crash off Long Island, the American Airlines Flight 587 crash in New York City, or more recently, the Continental Flight 3407 accident outside Buffalo. Such tragedies — with their large loss of life — leave lasting impressions. Yet, most of the hundreds of aviation-related deaths each year occur in general aviation (GA) accidents. GA is the term for flying that is neither airlines nor military. It includes a wide variety of aircraft, such as single-engine planes, floatplanes, helicopters, and business jets and turboprops. These usually smaller aircraft are often used for leisure trips, business trips, sightseeing, agricultural applications, emergency medical purposes, flight training, search and rescue, traffic reporting and many other uses. The pilots range from professionals earning a living flying to individuals with simply a passion for flying. On Monday, I traveled to Pennsylvania’s state capital, Harrisburg, to attend a press conference to voice the NTSB’s strong support for the legislation that State Representative Dan Frankel is introducing to make it mandatory for all motorcycle riders in Pennsylvania to wear safety helmets. I pointed out that the NTSB’s primary focus is improving safety, and improving safety is the most important reason for wearing a safety helmet. In Pennsylvania, in the two years after the 2003 repeal of its helmet law, the state saw a 30 percent decline in helmet use. At the same time, the state saw a 66 percent increase in head-injury deaths and a 78 percent jump in head-injury-related hospitalizations. 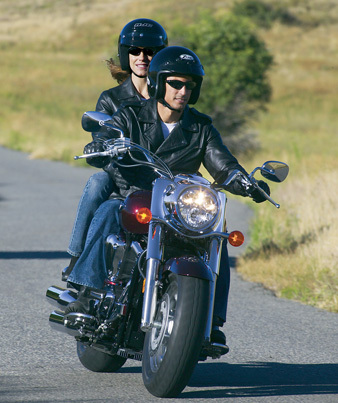 Since the 2003 repeal, more than 1,400 motorcyclists have died on Pennsylvania roadways. Many people have a fear of flying, and nothing rocks the aviation world’s collective psyche like a tragic airline crash, but did you know that almost 95 percent of transportation-related fatalities occur on our highways? In 2010, more than 32,000 lives were lost in traffic crashes, compared with fewer than 500 in aviation. Furthermore, traffic crashes are the leading cause of death for teenagers — more than cancer, more than guns, and more than drugs. This really hits home, since I have a 16-year-old daughter who recently started driving. Before I started at the NTSB, I did not fully appreciate how dangerous our roads can be, especially for teen drivers. Nor did I know the term “graduated driver licensing,” which means introducing driving tasks to young novice drivers in controlled environments and then “graduating” them to more responsibility as they gain experience. Knowing what I know now, when my daughter reached driving age I made sure she practiced her driving in controlled situations. Now that she has a license, I insist that she not carry more than one teen passenger at a time. She is also not to text or call on the cell phone while she’s driving. I’m sure she considers me a real drag, but her safety is more important to me than whether she thinks I’m cool. May is National Youth Traffic Safety Month. This is a great time for us parents to pause and consider how to keep our children safer on the roads, how to teach them to be better drivers, and how to help them make good choices. Through the teen years, our children are growing into adulthood, but it’s still our responsibility to guide and protect them as best we can. Today kicks off National Safe Boating Week. Summer is swiftly approaching, and it’s time to have some fun. Boating on a sunny day . . . it’s really a joy to spend time in a kayak, a boat, or on a personal watercraft. Maybe go parasailing or water skiing. But don’t forget to put safety first. At the beach, I have noticed a common trend . 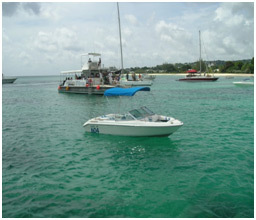 . . both tourists and locals like to have fun on the water. What I’ve also observed, unfortunately, is that many do not wear life jackets. They are probably so focused on fun that they do not imagine how something can go wrong. So let me share with you a few facts about why you need to make safety a priority. Over 700 people die in boating accidents. Almost 75 percent of all fatal boating accident victims drown—and of those who drown, 84 percent are not wearing a life jacket. Eighty-six percent of boating accident deaths occurs on boats where the operator had received no boating safety instructions. Alcohol is the leading factor in 16 percent of boating deaths. Be cool, wear your life jacket. Remember, alcohol use and boating do not mix. Be responsible, do not drink and go out on the water. Finally, be proactive by taking a boating safety course.